Breeding station Happycat CZ was established in 1990. First I bred mainly cats in blue, cream, and in combination with white, in recent years, I devoted almost exclusively to cats with points (colorpoints), and because one of my cats carries potential ability for cinnamon and fawn color, I'd bred and kittens in this color. Because I only have one or two litters of kittens per year, all our kittens grow up as members of the family and during the time they spend at home may well socialize. All our cats (even those pets) are tested for FeLV and FIP and vaccinated. 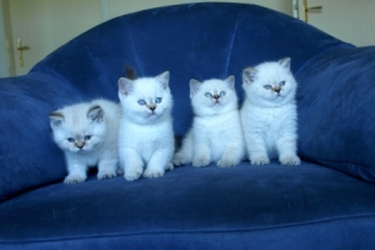 Kittens are given 2 times wormed, vaccinated and with complete information service about the care. We are always happy to be in contact with new owners and helping with showing and breeding..